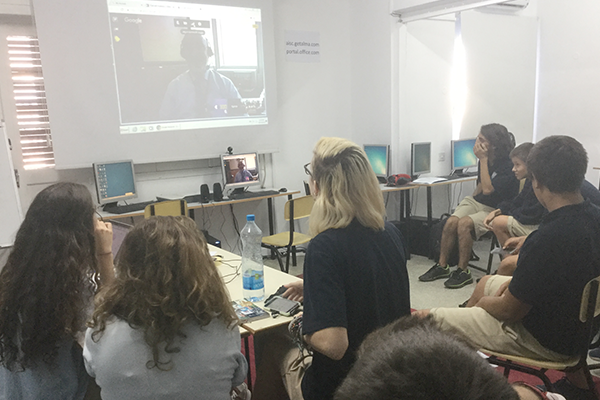 With its partnership with 100 Mentors, the students at the American International School of Cyprus have welcomed international experts in a variety of fields right into their classrooms. 100 Mentors is an organization that matches schools with mentors who provide students with opportunities for career and university exploration. AISC students have met with a film producer, a web applications engineer, a molecular biology PhD student, an economist, a World Bank consultant, and many more. They have explored topics such as free trade agreements, IB course selection, university majors, learning from failure, website design, and funding for film projects, just to name a few. AISC also hosted a virtual university fair through 100 Mentors and we are in the process of inviting AISC alumni to join our pool of mentors so that our current students can benefit from the vast experiences of our very own graduates. 100 Mentors has opened up an exciting world to AISC students!